We at AirMovers.com understand that you need your order as soon as possible, so we do everything we can to ship your order within 24 hours from the date of purchase. We ship during regular business hours, Monday through Friday. If, for some unexpected reason, an item won't be delivered within our standard 7 to 12 business days, a member of our AirMovers.com team will contact you with an update when to expect the item. Return shipping costs are our clients responsibility, unless AirMovers.com is at fault. Charges will be deducted from final credit value. You can start a new return or check the status of a return in progress by logging into your account or by visiting our return a product page. If you have any questions, please give one of our product specialists a call at 1-855-242-9030. 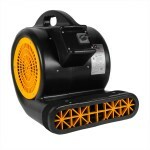 Yes, in appreciation for our clients choosing AirMovers.com, we often give away free gifts. You can shop at AirMovers.com online with confidence. We have partnered with Authorize.Net, a leading payment gateway since 1996, to offer safe and secure credit card transactions for our customers. You can have complete confidence when providing information to AirMovers.com. All information is regarded as confidential. Only a very limited number of qualified AirMovers.com personnel are able to view this information. Your business information is never sold or borrowed to other companies or organizations. All credit card information is immediately destroyed after your transaction is completed. AirMovers.com reserves the right to substitute private-brand or other equivalent merchandise when an item is out of stock or on back order, to allow us to complete your order. 4.) AirMovers.com is not be liable for any loss, theft, or damage that occurs after the safe delivery of items to the continental United States delivery address. To set up your AirMovers.com account for tax exemption status, please fill out the Tax Exempt Form and submit your name, email, phone number, and organization name. Once the information is submitted and verified, a member of our Customer Service Team will update your account. If you do not have an account set up, our team will set up an account on your behalf and provide you with login credentials. Users should anticipate an estimated response time of one business day, Monday - Friday, during standard business hours. Once your account it set up, your tax exempt status will be applied to all future qualifying AirMovers.com purchases.